This two-part article series discusses the signs and symptoms of gum disease in both the beginning stages (gingivitis) and advanced stages (periodontitis). Are your gums healthy? Most people would like to think so, but according to the dire statistics of gum disease in the United States, our oral health and standard of hygiene just isn’t up to scratch! As much as 80% of the population suffers from some form or stage of gum disease, whether it’s a mild infection of the gums known as gingivitis or pervasive and chronic periodontal disease. How Can You NOT Know You Have Gum Disease? The reason this disease seemingly flies under the radar is because it doesn't cause much pain or discomfort in its beginning stages. Consequently, most people are convinced they don’t have a problem. Concerns they DO have over the changes they've noticed in the condition of their gums are filed away under the “It’ll probably go away on its own” mental catalogue. So what are the symptoms to look out for? When should we start feeling alarmed for the sake of our oral health? And what signs should we definitely never ignore? 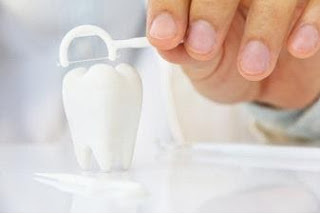 We spoke to a qualified and experienced Silver Spring dentist about when you should seek professional attention for seemingly small oral problems. Bleeding gums are indicative of infection. The tissue becomes compromised and weakened and consequently, it tears more easily. If your gums bleed when brushing, try not to press down so hard and see if that works. If you don’t floss very often, it’s possible that the gum tissue between your teeth is irritated by the food debris and plaque you leave between your teeth. 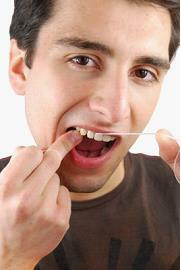 As a result, it could be a little inflamed and prone to bleeding on the rare occasion that you do pick up the floss. To remedy this, start flossing every day and if the bleeding doesn’t subside, book yourself an appointment with your Silver Spring dentist. You will need to up your efforts to keep your teeth and gums clean, which includes brushing more regularly and for longer. You must floss before you go to bed at night and you could even include an anti-bacterial mouthwash in your hygiene regime - or at least until your gums start looking a little healthier. Also, it would be a good idea to book an appointment with your dentist! Stay tuned for the second installment of this two-part article series for more advice on the signs and symptoms of gum disease!